PokerStars is, by a wide margin, the largest poker room online in terms of both traffic and turnover. This is a poker room that attracts everyone, from low-stake beginners to hobby high rollers and seasoned poker professionals. It has a very large selection of games and an impressive offer of both cash games and tournaments. PokerStars is also the sponsor of a lot of off-line poker tournaments, such as European Poker Tour (EPT), North American Poker Tour (NAPT), Latin American Poker Tour (LAPT) och Asia Pacific Poker Tour (APPT) – tournaments to which you can qualify by playing in online tournaments. In addition to the international site, PokerStars has several country-specific poker sites in order to comply with the gambling legislation of various European countries. PokerStars is not a part of any poker network. They have their own proprietary poker software that has been developed for PokerStars. You can download and install a poker client or play directly in your browser. 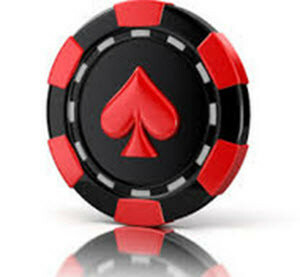 A downloadable poker client is available for both Windows and Mac OS. It is possible to play poker for real money on PokerStars on smart phones and tablets. PokerStars version of fast poker is called Zoom Poker. As soon as you discard your cards, you are moved to a new table where a new round is just about to start. No more waiting around for other players to finish a round you are not involved in. 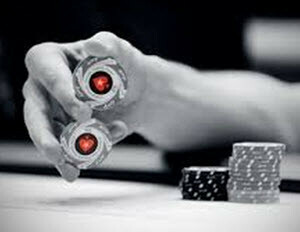 PokerStars has the largest tournament selection of any poker room or poker network online. There are tournaments available for a lot of different poker variants and on a lot of different buy-in levels, including plenty of free rolls. The selection is large both for scheduled tournaments and for Sit & Go’s. PokerStars offers tournaments with guaranteed price pots every day, but during the weekend there are several tournaments available with really big guaranteed price pots. They tend to have a rather big buy in, but cheap satellites are available (including free rolls). PokerStars World Championship of Online Poker (WCOOP) and PokerStars Spring Championship of Online Poker (SCOOP) are popular tournament events with a lot of special tournaments and competitions. Examples of offline poker tournaments sponsored by PokerStars are European Poker Tour (EPT), North American Poker Tour (NAPT), Latin American Poker Tour (LAPT) and Asia Pacific Poker Tour (APPT). There are always plenty of qualifiers online prior to these events, where you can win not just buy-in but a complete travel package with airline tickets, hotel accommodation, pocket money, etc. PokerStars will also have qualifiers available for offline tournaments such as World Series of Poker (WSOP) och World Series of Poker Europe (WSOPE) and Aussie Millions. Every year, a lot of people participate in these events after winning a travel package at PokerStars online. PokerStars is an independent poker room that isn’t apart of any poker network. It has more traffic than any other poker room or poker network online, both in terms of cash games and tournament play. Statistics from PokerScout for a week in May 2015, PokerStars had 16,000 cash game players online on average. On second place in that list was 888 Poker, with a mere 2,100 cash game players on average for the same week. As you can see, the gap between PokerStars and its competitors is huge. You get a $20 no-deposit bonus when you register with PokerStars. You get a 100% welcome bonus on your first, second and third deposit. If you take full advantage of this offer, you get a total of $600 in bonus money. When you play for real money at PokerStars, you gather loyalty points. Loyalty points can be traded for bonus money, tournament buy-in tickets, and other benefits. There is always something going on at PokerStars in terms of competitions, give-aways, raffles, and more. Some campaigns are limited to a certain country or geographical region, e.g. only United Kingdom or only the Nordic countries. Regrettably, the PokerStars support can only be contacted via email. There is no phone support live chat support. The email address is support@pokerstars.com. If you encounter a problem with your deposit, you can sent your email to dad@pokerstars.com instead. It will then go directly to the Deposit Assistance Department. 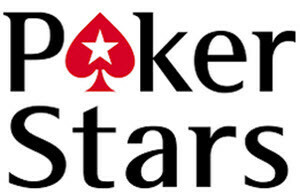 PokerStars was launched in 2001. Back then, it was based in Costa Rica in Central America. In 2012, PokerStars acquired its former main competitor Full Tilt Poker. Full Tilt Poker is managed as a separate poker room, but since they have the same owner it is very easy to move money from your PokerSTars account to your Full Tilt Poker account and vice versa. Nowadays, PokerStars is no longer based in Costa Rica but on Isle of Man, a self-governing British Crown dependency located in the Irish Sea between the islands of Great Britain and Ireland. PokerStars.eu is however run from Malta by a Maltese subsidiary. PokerStars is owned by the huge gaming company Amaya Inc.